(so much) football, so these were read in December. 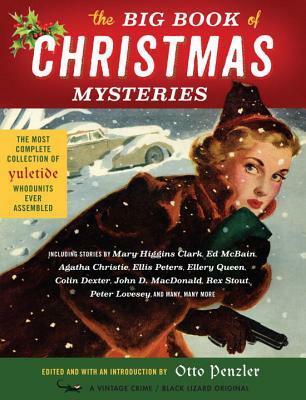 The Big Book of Christmas Mysteries edited by Otto Penzler, mystery anthology. I did a Friday Forgotten review of this on November 29, so there isn’t much to add. If you only have one Christmas Mystery short story anthology, this is the one to have. Gamache is still being investigated for decisions he made regarding a drug shipment, letting some in in order to bust a major drug ring. But not all the drugs were captured, some is missing, and that’s a problem. That’s all I’ll say. This is a strong, tough, riveting novel. I can’t recommend it highly enough. WELCOME HOME by Lucia Berlin. The writing is lovely but the circumstances of her life are a combination of amazing and horrific. And this book only takes her halfway through it. Being cool is awfully wearing on the body and soul. Amazing is good, horrific is not. So it’s one I’d skip. Great comment on being cool. Just finished In A House of Lies by Ian Rankin. Enjoyed it a lot. I’m a big fan of Rankin. Now reading Terra Nullius by Claire Coleman. She’s an Australian writer. Also reading some short fiction from various collections. I know she’s well liked but I couldn’t get thru the first Louise Penney novel. Those mammoth collections are too awkward for me and trying to navigate thru them on my kindle is a chore. I’m sort of hot and cold on Rankin. I’ve liked some of his books, others, not, though I have only read a handful. I’ve heard that reaction to Penny before, but the first book is the most “cozyish”, and they get more intense from there on. Still, some have favorites, others disagree. Makes a horse race, as the saying goes. TERRA NULLIUS sounds like SF, is it? Yes but you don’t realize it until you are half way through. It reads like a historical novel to begin with. Like Steve, I like Ian Rankin’s novels. I should read one soon. I’m busy reading Big Fat Books during our current frigid Arctic temperatures. Single-digit temps are forecast for this weekend. Time to hunker down and read! We’re also in a movie Dead Zone. You and your BFBs. There are a lot of regular length books out there too, you know! Humans are not meant for single-digit temps. Stay warm and dry, and enjoy a warm drink. I liked the big Christmas anthology a lot. Best recent read was NOVEMBER ROAD by Lou Berney about the JFK assassination. I will do the rest when I get home. Last week I finished Murder with Pictures by George Harmon Coxe and Beyond a Reasonable Doubt by C. W. Grafton. I liked both but especially the Grafton book. Now I am reading Good Omens by Gaiman and Pratchett. Very different from my usual reading. I need to get back to Louise Penny’s series. I am at book 4 in that series. I agree about that Christmas short story book, it is a good one. The other good mystery I read was A BORROWING OF BONES by Paula Munier. Her protagonist was wounded and sent home from Afghanistan, where her fiance was killed. She has the fiance’s bomb-sniffing dog, Elvis, a victim of doggie PTSD. They are back home in Vermont when they discover a baby left in the woods, only to have the baby disappear from the local hospital. Her teenage crush is now the local Game Warden, with a big dog (a Newfoundland) of his own, and I don’t think it would be a stretch to predict romance between the two as the series continues. I liked it. The 100+ year old collection of stories I read this week is supposedly the first occult detective, FLAXMAN LOW, OCCULT DETECTIVE, by E> & H. Heron (actually mother and son K. and Hesketh Pearson). They were OK, but he is no Carnacki the Ghost Finder (William Hope Hodgson’s more renowned detective). Currently reading another first mystery, British this time – Caz Frear’s SWEET LITTLE LIES. Also the Jo Gar story collection by Raoul Whitfield and the William Brittain collection from Crippen & Landru. Though I’ve heard of Hodgson I’ve not read him. The rest are new to me, except the last paragraph’s Gar and Brittain. That Penzler anthology is sitting at my bedside. I’ll be reading it in snippets. 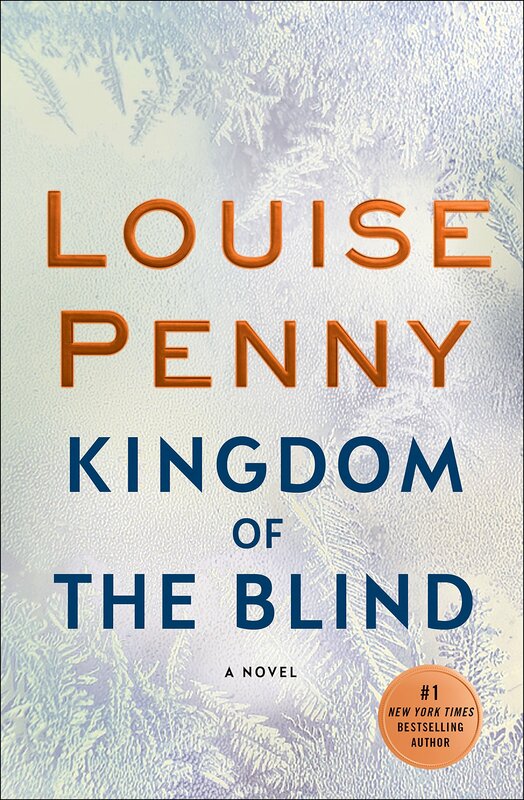 I still have not gotten around to Louise Penny yet…maybe later this year. 2019 is starting out fairly well — I have averaged one book a day. Short story collections include George A. Baker’s MRS. HEPHAESTUS: AND OTHER SHORT STORIES and H. P. Blavatsky’s NIGHTMARE TALES, both from the early 19th century, and Max Beerbohm’s SEVEN MEN AND TWO OTHERS. Anthologies include three Australian paperbacks, all anonymously edited: SANDS OF MARS AND OTHER STORIES, PLANET OF DOOM AND OTHER STORIES, and SPACE STATION 42 AND OTHER STORIES, COLLECTING sf STORIES FROM THE EARLY 1950s. Graphic Novels were Brian Michael Bendis’ INVINCIBLE IRON MAN: IRONHEART: VOL. 2 –CHOICES and Ed Brubaker and Sean Phillips’ MY HEROES HAVE ALWAYS BEEN JUNKIES. I also read two Three Investigators books, THE MYSTERY OF THE WANDERING CAVE MAN and THE MYSTERY OF THE BLAZING CLIFFS, both written by M. V. Carey. My two FFBs this month were Talmage Powell’s THE THING IN B-3 and F. Paul Wilson’s THE FIFTH HARMONIC. i also read F. W. Bain’s Hindu fantasy IN THE GREAT GOD’S HAIR. And this morning I finished James Herbert’s man-into dog fantasy FLUKE. Phew! I don’t think I can keep this pace for long. I’m currently reading THE METAL MONSTER, which — depending on whom you listen to — is either one of his best or one of his worst fantasies. In either case, it appears Merritt has never met an adjective or adverb he did not love. Thanks, Jerry, you too. Try not to have another book buying spree while I’m not looking this time, okay? A book a day seems like an unsupportable pace. Maybe go for quality over…but you know all about that. Where did you get those Aussie paperbacks, and where do you find those 3 Investigator books? Me wants to know. Those two books went to the READ REAL SOON stack based on your fine review of Sullivan’s other series. Turns out the 4th book won’t be out until July, not April. Bah.